Everything for the motorist, since ’78. 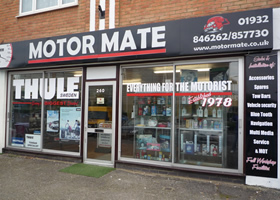 Motor Mate was set up in Weybridge in 1978 by Michael Bushnell. In 2012 the store moved to its current site in Station Road, Addlestone, with large spacious retail premises, workshop and free parking. Under Michael’s leadership, the store and workshop have gone from strength to strength. With his extensive experience in the motoring business, Michael still has a passion for the job, and a commitment to providing the best quality products. Over the years Motor Mate has gained a reputation for outstanding customer service. This is a tradition that Michael and the staff at the store are proud to continue, with many loyal customers becoming friends, and new customers coming via personal recommendation. Motor Mate has been a Thule dealer for over 20 years, and is one of only 180 Thule Partner Dealers in the country. Thule is a respected name in the motor industry, known for its high quality, well designed products. 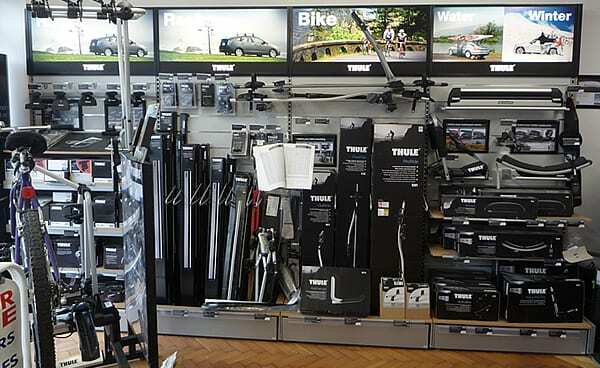 We have an extensive range of Thule products on display in our showroom, including roof bars, roof boxes, cycle carriers, leisure racks and carriers. 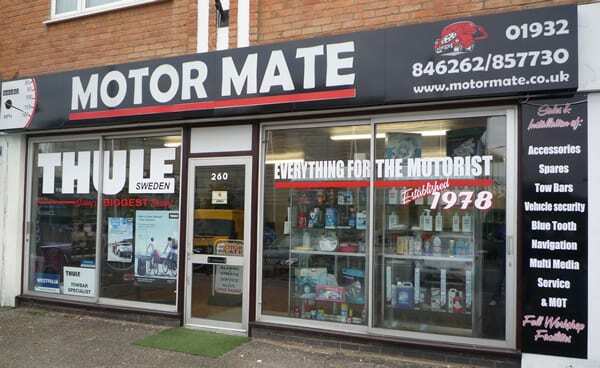 We look forward to welcoming YOU to Motor Mate.